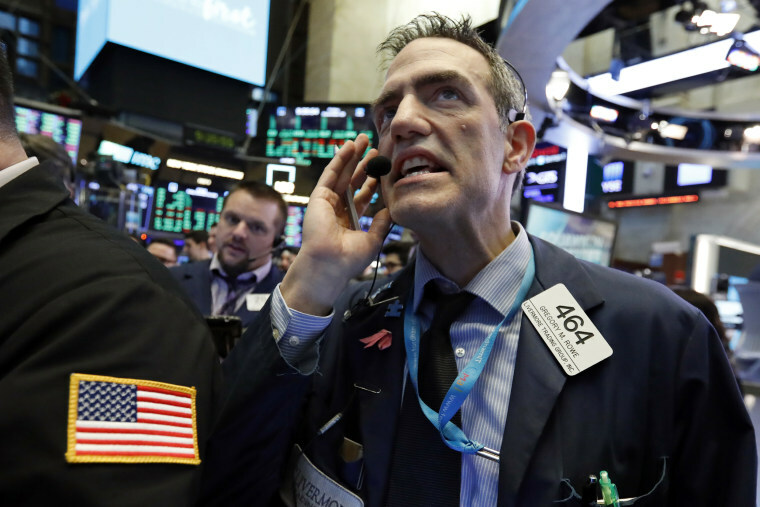 Recent rapid swings could be a wake-up calls for investors who might have leaned heavily into stocks in search of higher returns, warn investment experts. Wall Street continued its wild ride on Friday, erasing more of Monday’s Christmas Eve historic plunge. Following nearly a decade of steady gains, the volatility is a shock. Market experts have advice for investors and retirement savers who feel whipsawed by the roller-coaster. “Panic isn’t a strategy. It’s important to keep perspective when markets get choppy,” said George Kiraly, founder and CIO at LodeStar Advisory Group. Investors need to assess how much risk they are comfortable with — not just when markets are rising and risk is more of a hypothetical, but when those inevitable downturns do occur, Kiraly told NBC News. Rather than fearing market gyrations, investors should take a measured approach that takes a certain amount of fluctuation into account. “Market disruptions and volatility bring huge opportunities,” Kiraly said. As such, investors would do well to keep their focus on the big picture. “Bottom line is that for longer-term retirement plans, the impact is minimal,” said Ian Harnett, chief investment strategist at Absolute Strategy in London. It’s likely that some investors today had started to take for granted what actually is an unprecedented run of economic growth. “The longer the good times roll on, the more confident investors become,” Goldberg said, which means any setback can seem jarring by comparison. Market experts pointed out that even though the major indices are down for the year, U.S. equities still are doing better than many of their international counterparts. And the CBOE’s volatility index, the market’s so-called “fear gauge,” is sitting at just below 30 — roughly the midpoint of its range over the past year. “Unless you expect a recession [or] total financial crisis, the level of volatility will probably drop down in the next few months,” Harnett said, although he added the caveat that volatility in 2019 will likely be greater than it was in 2018. While investment pros never advise making big changes to your asset allocation based on day-to-day market movement, recent rapid swings could be a wake-up calls for investors who might have leaned heavily into stocks in search of higher returns.